This is a foreign exchange guide to Romania, the Romanian Leu currency plus RON transfers and travel tips. Romanian Leu exchange rates - latest & historic exchange rates. What is the Romanian Leu currency code and symbol? The three letter currency code for the Romanian Leu is RON and the symbol is lei. Which countries use the Romanian Leu? It is the domestic currency in Romania. The interactive chart below shows the USD to RON exchange rate for the previous 3 months with rate alerts for days when the exchange rate moved up or down significantly or for 30 day highs and lows. Rugged stone churches and dazzling monasteries dot a pristine landscape of rocky mountains and rolling hills. Transylvanian towns have stepped out of time, while vibrant Bucharest is all energy. When people think of Romania, they tend only think of gypsies and Dracula, but there is much more the country than that. The Carpathian Mountains carve right through the centre of the country, leaving a swath of exposed rocky peaks surrounded by groves of pine and deciduous trees, and stretches of bright green meadow below. The harsh geography has limited human habitation, and the woods are filled with deer, elk and bear. 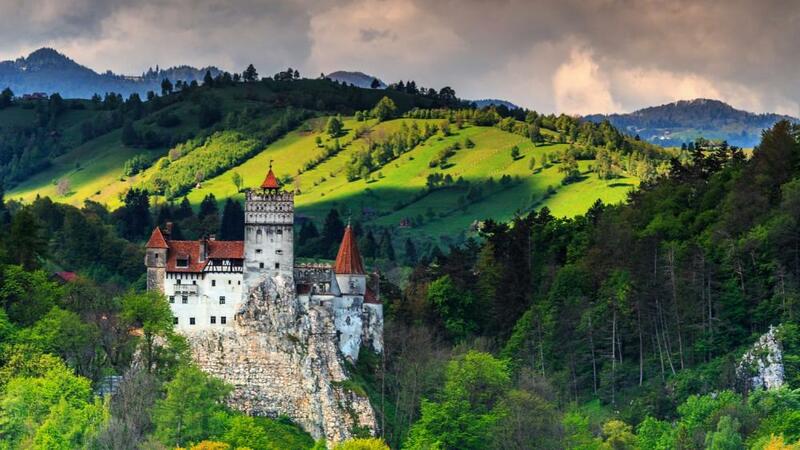 Transylvania, the land that gave us Dracula, has no shortage of jaw-dropping castles pitched precariously on rocky hilltops. There's spooky Bran Castle, of course, with its spurious connection to Bram Stoker’s fictional count, but don’t overlook beauties such as Hunedoara’s 14th-century Corvin Castle or King Carol I’s sumptuous 19th-century pile, Peleş Castle. Romania is known for its magnificent castles. What currency to use in Romania? Romanian’s currency is the Romanian Leu (RON), which actually means “lion” and the shops will only accept the national currency. Euros are sometimes accepted at larger hotels in Bucharest. However, the Leu is the only currency that should be used in Romania. The currencies which are most available at the exchange houses are US dollars, UK pounds, euros, or Swiss francs so we recommend bringing just those. There are a lot of ATMs in Romania, so you can withdraw money, as well. It’s safe to pay with your card if you don’t want to withdraw money. Only VISA, MasterCard, and Maestro are accepted throughout the country. If your card is by American Express, for example, it will not work, so you need to have a backup. When traveling to rural areas, having cash is a must. How to get around in Romania? In the cities, you can take public transportation, a taxi or an Uber, all of which are extremely affordable. Uber is available in Romania in a few major cities, such as Bucharest, Timisoara, Cluj-Napoca, and Brasov. Passenger ferry or private boat is the only way of getting around much of the Danube Delta, where you can pick up ferries or hop on fishers’ boats from Tulcea. A mix of buses, minibuses and 'maxitaxis', private vans holding anywhere from 10 to 20 passengers, form the backbone of the Romanian national transport system. If you come to understand how the system works, which is not easy, you can move around regions and even across the country easily and cheaply. Unfortunately, there appears to be little logic behind how the system is organised and how it functions. Buses and maxitaxi routes change frequently; often these changes are communicated between people by word of mouth. Towns and cities will sometimes have a half-dozen different bus stations (autogara) and maxitaxi stops, depending on which company is operating a particular route and the destination in question. Once you've located the bus station and your bus, buy tickets at station ticket windows or directly from the driver. Have small bills handy, as drivers cannot usually provide change for big bills. Taxis are cheap, reliable and a useful supplement to the public-transport systems. Drivers are required by law to post their rates on their doors or windscreens. The going rate varies from city to city but ranges from 1.69 to 1.99 lei per kilometre. Any driver posting a higher fare is likely looking to rip off unsuspecting passengers. While it is usually fine to hail one from the street, it's much better and safer to order taxis by phone from reputable companies or to ask a hotel or restaurant to call one for you. For centuries, a highly productive peasant culture thrived in much of Romania. The hilly geography and lack of passable roads necessitated the emergence of hundreds of self-sufficient villages, where old-school crafts such as bread-making, pottery, tanning and weaving were honed to an art. Folk museums, particularly the open-air skansens and village museums, are a must. Many isolated hamlets, where the old folkways are still practised, are museums in themselves. This is most evident in Maramureş, where oversized hay racks, horse carts and stately wooden churches dominate, and towns and villages have seemingly stepped out of the Middle Ages. 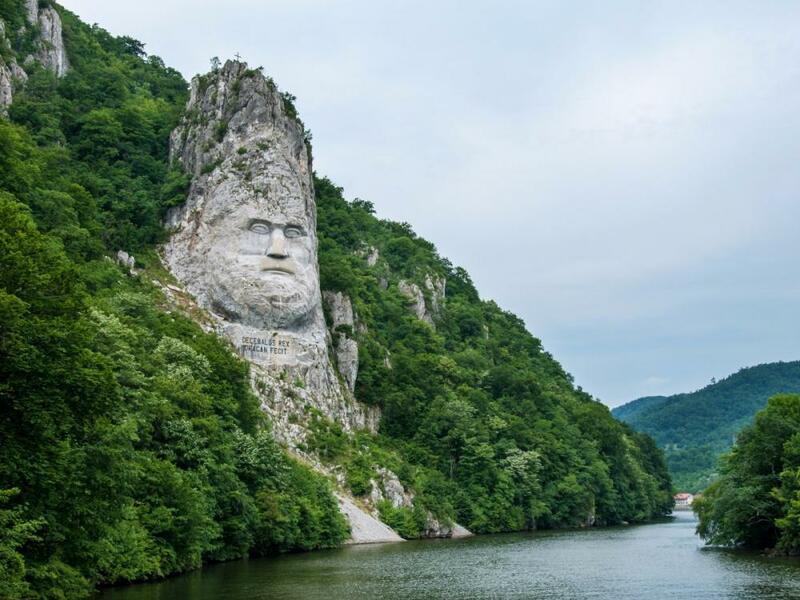 The rock sculpture of Decebalus is a huge carving in rock of the face of Decebalus, the last king of Dacia. Save money and time by Ordering your Romanian Leu online from Travelex, you get better rates and can pick up the RON cash locally or even on travel day at the airport. For card purchases if offered a choice of currencies always select to Pay in Romanian Leu otherwise you may get much worst exchange rates. Compare RON travel cash rates - probably why you are here! When searching around for information on how to get a good exchange rate when sending money to Romania you need to start with finding out the latest Romanian Leu foreign-transfer exchange rate. Once your funds are received by the provider the converted RON amount will be transfered to the recipient account you specify in Romania. Use our Send to RON calculator to compare the exchange rates of FX specialist providers rates versus your bank's standard rates you can hopefully save around 5% and maybe more - end result is more Romanian Leu deposited into the recipient bank account and less margins and fees kept by the banks!